The first thing you notice about World of Alfa co-founder, Patrick Kodjoe is that he’s tall. NBA tall. And to answer your question, yes he did play basketball. The second thing you notice about Patrick Kodjoe is his last name. You’ve probably heard about another guy named Kodjoe who is a movie star. That’s Patrick’s brother. But we’re not going to talk about him. At least, not yet. The next thing you notice about Patrick Kodjoe is his sense of style. That’s where our story begins. I met Kodjoe for lunch at Ruggles on the Green in Houston, TX. He showed up wearing a sharp vest and jacket combo with jeans and crisp, white shirt. The restaurant was hot and Kodjoe quickly discarded his jacket. He carefully rolled up his sleeves like a member of the Rat Pack relaxing in a Vegas lounge. “Houston’s weather is so unpredictable,” he said as we stepped to the counter to order our food. I ordered the veggie burger because I read reviews on Yelp and many people recommended it. Patrick was wise enough to stick with the regular burger. We found a table in the crowded restaurant and talked about our families. Kodjoe has two kids and like any proud poppa, he showed me several photos. “Everything I do is for my family,” he said. Family is undeniably important to Kodjoe. So is the business of fashion. He started World of ALFA with his brother, Boris Kodjoe (that other Kodjoe I mentioned earlier), and other business partners in 2010. However, the idea for the company was birthed when he was a teenager. After injuries ended his pro-basketball career ended in Europe, Kodjoe started laying the foundation for World of Alfa. He spent nearly three years traveling the world to make connections and build alliances with people in the fashion, textile, and manufacturing industries. He launched the company with scant advertising and people immediately responded to the concept. 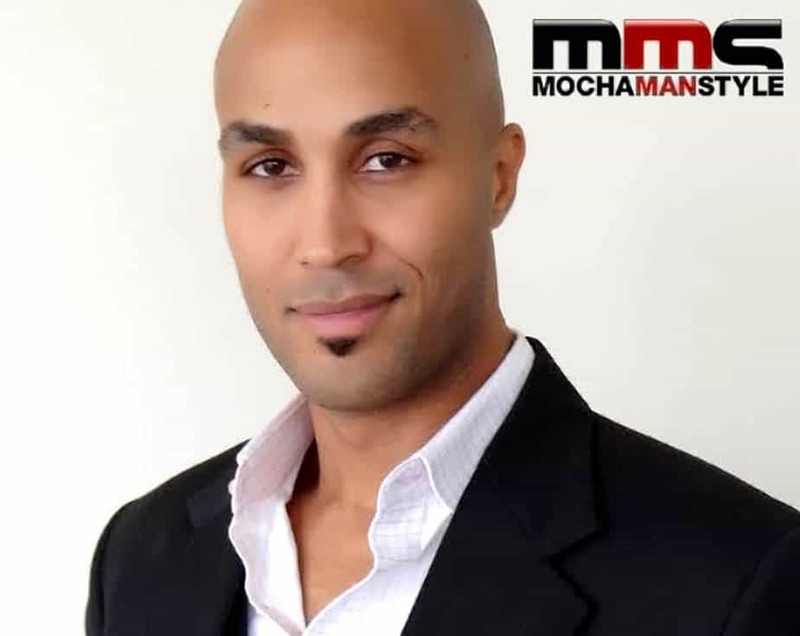 In addition to growing the business, Kodjoe spends much of his time investing in the community. He was one of the featured speakers on the UNCF Empower Me Tour, a program created to empower young people, motivating them toward academic excellence, personal and fiscal responsibility. Kodjoe also offers media training for professional sports teams. As a result, several high-profile athletes have become loyal World of Alfa customers. While Kodjoe appreciates the endorsements from NBA legends, he is content with helping regular men find their own style. But he doesn’t intend to rest on his laurels. Kodjoe has plans to build World of Alfa into the top global fashion brand.